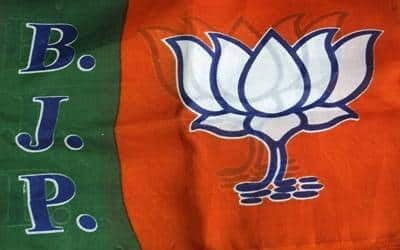 New Delhi, March 22 (IANS) The Bharatiya Janata Party (BJP) has denied tickets to two Union Ministers Krishna Raj and Vishnu Deo Sai in the first list it has released of 184 candidates for the upcoming Lok Sabha elections. Minister of State for Agriculture and Farmers Welfare Krishna Raj, who had won the 2014 Lok Sabha polls from Shahjahanpur in Uttar Pradesh, has been replaced by Arun Sagar as the party’s nominee from this constituency. In the 2014 polls, Raj had defeated Bahujan Samaj Party’s (BSP) Umed Singh Kashyap by a margin of 2.35 lakh votes. She had also contested the Lok Sabha polls in 2009 on a BJP ticket, but came third. The BJP is all set to take on the Samajwadi Party (SP)-BSP combine’s challenge in Uttar Pradesh. Another Minister of State, who has been denied a ticket, is Vishnu Deo Sai from Chhattisgarh. He has been representing the Raigarh parliamentary constituency since 1999. In Chhattisgarh, the BJP has decided to drop all its sitting MPs. The BJP’s Central Election Committee on Thursday issued its first list of 184 candidates, across 20 states and union territories. The list includes the names of Prime Minister Narendra Modi, BJP President Amit Shah and Union Ministers Rajnath Singh, Nitin Gadkari, V.K. Singh, Mahesh Sharma and Santosh Gangwar.